Prior to going to contract we have our office in Kigali run a comprehensive availability check on all accommodations and request provisional bookings. Once you sign and return your contract, our office in Kigali submits booking vouchers and makes necessary deposits to all the accommodations to finalize the bookings. Unlimited and exclusive use of a vehicle & driver while on safari. Your vehicle will be in excellent condition. 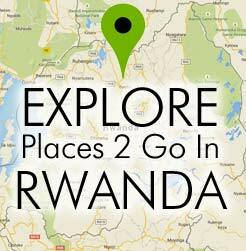 Expert & Experienced Rwandan driver/guide (English­-speaking) with vast knowledge of Rwanda.